Ah, the day has come and you need a contractor, soon. But, how do you choose the right company? There are many different ways to find a contractor to come to your house but, there are a few factors to consider before you decide if that contractor is right for you. 1. Do they have references? Asking this question is uncomfortable but, it might help you find out the quality and integrity of a company. Some contractors will pay for services like Angies List and yelp for you to see those reviews but, ask for the phone number to a recent client to gather that information instead. You can get a direct response from a client of theirs. 2. Their estimate seems high; did they explain how or why in their bid? Be careful of contractors who just want to throw you a number. Detailed contractors will often provide complete scope of work estimates that show you the amount of work, materials and planning needed for your project. While that means you’re probably spending a little more for that contractor, often that also is an idicator of that contractors ability to complete your project, to your specifics, on-time! 3. Did the contractor show up on-time, look presentable, and answer your questions? This seems silly but, I can think of all of the times I’ve needed to hire a contractor and how dissappointed I was if they came in my home, messy and hagred! A contractor who is punctual, presentable and able to articulate answers is the company you want to work with! There are other ways to seek a contractor to do your work. 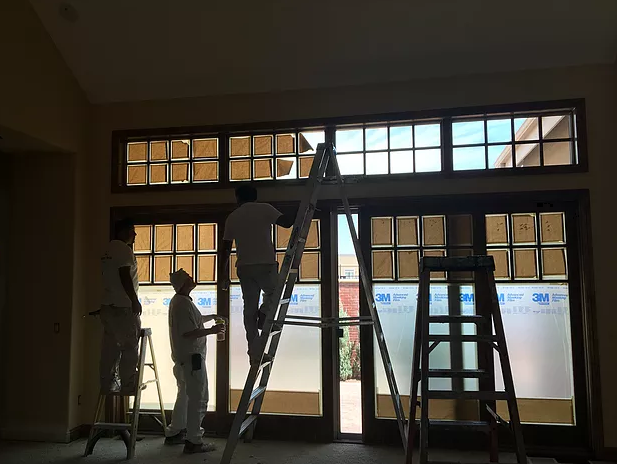 Sometimes it is as easy as just getting along well, having that gut feeling, or using them through referals.The point is, the contractors who come recommended, are detailed, and are helpful are not always going to be the cheapest contractor to work with. And that is ok! The old cliche “you get what you pay for” couldn’t be more true in the world of contract services so keep that in mind when your next project pops up!